Here at RSF Foundation, we believe working together with dedicated philanthropists is the number one way to increase your impact and power of your donation. A successful example of a collaborative giving model is the RSF Women’s Fund. 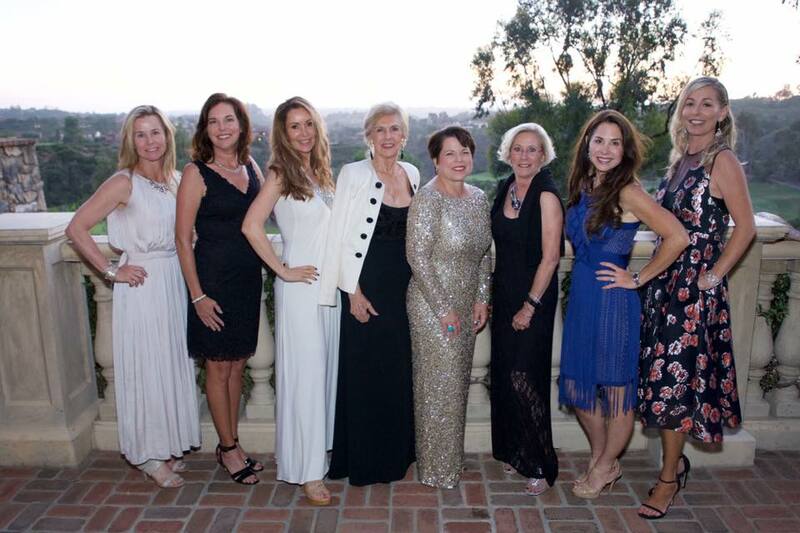 Since it began in 2003, the Women’s Fund at the Rancho Santa Fe Foundation has made a tremendous impact at a local level. In the last 14 years alone, the Fund has granted over $3,300,000 to nonprofits in San Diego. The Women’s Fund members, consisting of women who live in the 92067 and 92091 zip codes, are devoted, lifelong learners who are passionate about both philanthropy and a social community. Fireside chats, in which members host others in their home and give a hard-hitting talk on their specific area of expertise. Volunteer events throughout the year members typically create holiday baskets for military members at Camp Pendleton and their kids; they have also sorted and distributed vegetables through Feeding San Diego to aid in meal and food distribution for those in need. Three speaker events each year, with experts presenting on topics that are of interest to the members. Three social events per year, such as “Blanca and Bubbles”. The thorough vetting and voting of charities to give grants to through their grantmaking process. The organization’s saying is, “Do a Little, Do a Lot”. Whether members are able to attend only a few outings a year or be deeply involved in everything, everyone contributes to the group’s overall goal and success. No matter what though, the core, meaningful element is the philanthropy – especially the grantmaking process. The nonprofit’s financials, making sure they’re financially sound and responsible. The project itself and what it’s funding. A key way this is done: A luncheon where non-profits pitch their specific program and host a Q&A after, enabling members of the Women’s Fund to ask any questions. The staff and facilities through site visits. A powerful example of a program funded last year was a collaboration between Donovan State Prison and Tender Loving Canines. Prisoners Overcoming Obstacles & Creating Hope (POOCH) Program teaches inmates to train service dogs that go to individuals with autism or veterans. After a site visit to the prison, seeing the space and meeting with the prisoners themselves, the members saw the incredible possibilities. The clients: There is a long wait list for those in need of service dogs. More service dogs are available to be placed with the addition of this program, especially as the set routine of prison life enables dogs to be trained two times faster than the general population. The prisoners: Empowered with a goal and purpose, the yards with men training dogs to experience much less violence. It also allows for workforce development and tangible skills to be learned. Some of the men that participated in the program were able to secure work after release with animal facilities. The dogs: Most of the dogs are taken from shelters or poor situations; as a service dog, they have stable homes and receive love from the people and families they serve. In addition, the program only uses positive reinforcement and there are cameras and security measures that ensure the dog’s safety. This type of impact is just one of many. Earlier this year, the Women’s Fund announced their 2017 grants. To see the list of this year’s grantee’s, visit our website. More information on the Women’s Fund and their events can be found on their website.